Jackie Fo: Last Minute Thanksgiving Centerpieces...and a trip to Texas! Last Minute Thanksgiving Centerpieces...and a trip to Texas! Happy ALMOST Thanksgiving! If you are looking for a last minute centerpiece for your holiday table, these gems from Better Homes and Garden's website are easy and beautiful. You can find most of these items at the grocery store or around your house, so don't fret! 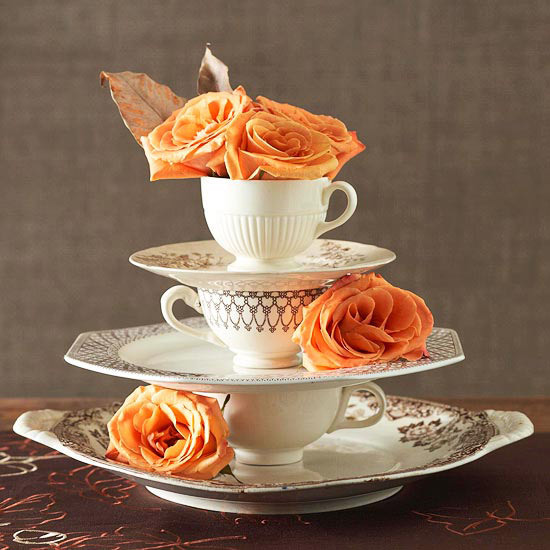 These stacked teacups make an impact! Use branches and mini pumpkins hung with twine to achieve this look! 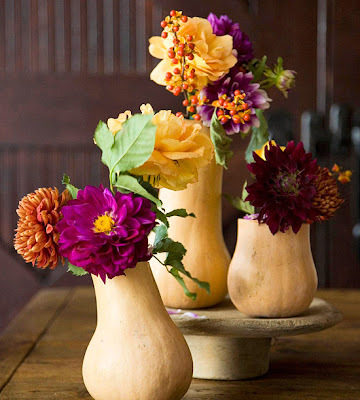 Use butternut squash shells as vases...then use the butternut squash for a casserole for Thanksgiving - efficiency at its best! 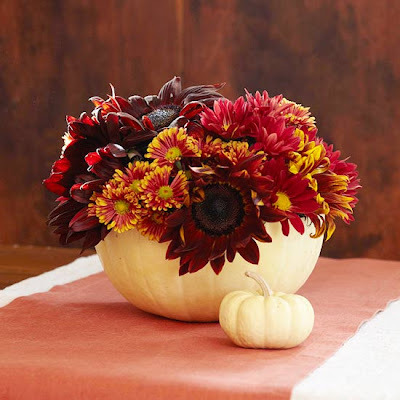 Same thing with the pumpkin vase - Use the pumpkin for pie and the shell for displaying autumn flowers. That's right. I consider myself fairly well traveled (within the U.S. at least) but I've never been to Texas! Good thing my dad moved there earlier this year so I could find out if everything is in fact bigger in Texas. And also good for me because you know I'm getting some authentic cowboy boots. My dad lives in Houston, more specifically in the Memorial area of Houston. For all my Houston friends - if you know of any good restaurants, shops or activities in the Memorial area of Houston - do tell! love those hanging mini pumpkins! hope the turkey in TX is fab! Hi there! Love the new design! 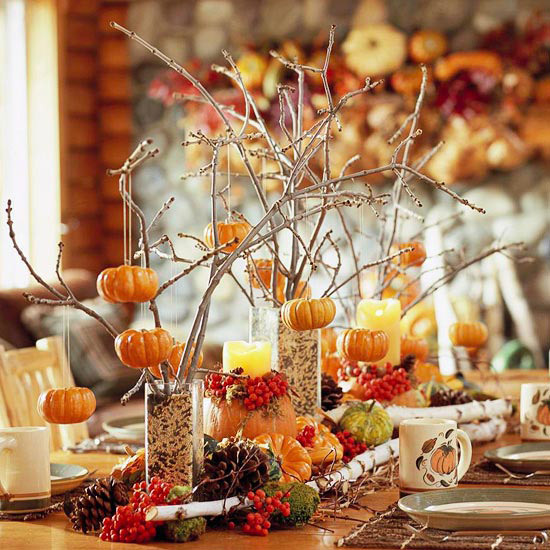 Great centerpiece inspiration!